Tutco SureHeat 206119EXT TUTCO SUREHEAT Hot Air Heater Type K Thermocouple Extension 206119-72-Extension (F206119-72-Extension) TUTCO SUREHEAT air heater Type k thermocouple extension only is 72 inches long with split wire ends and a type K 1200F high temp standard two pin plug. Other custom thermocouples available upon request to meet your application needs. 206119-72-Extension (F206119-72-Extension) TUTCO SUREHEAT air heater Type k thermocouple extension only is 72 inches long with split wire ends and a type K 1200F high temperature standard two pin plug. Other custom thermocouples available upon request to meet your application needs. 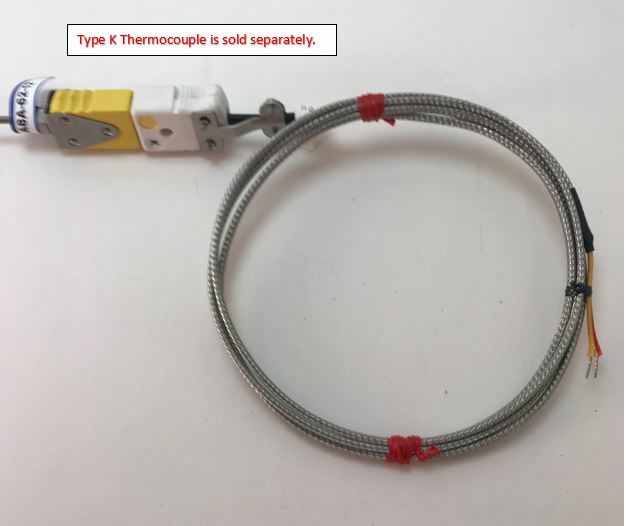 This thermocouple can be used for the TUTCO SUREHEAT threaded in-line heaters. 206119 THERMOCOUPLE IS SOLD SEPARATELY.